1 oz. 1.7 oz. 2.5 oz. 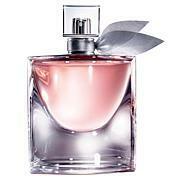 Discover Lancôme's newest fragrance sensation that captures the spirit of the first moment of love. Fall head over heels with the luminosity of ripe fruits, the radiance of rose and jasmine and the vibrant warmth of cedarwood and musk. 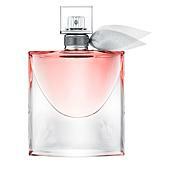 A fruity floral, this French eau de parfum is youthful, modern and flirty and is sure to become your signature scent. Ingredients: Alcohol, Parfum/Fragrance, Aqua/Water/Eau, Ethylhexyl Methoxycinnamate, Ethylhexyl Salicylate, Butyl Methoxydibenzoylmethane, BHT, CI 14700/Red 4, CI 19140/Yellow 5, Linalool, Geraniol, Alpha-Isomethyl Ionone, Methyl-2-Octynoate, Limonene, Hydroxycitronellal, Citral, Citronellol, Benzyl Alcohol, Benzyl Salicylate. 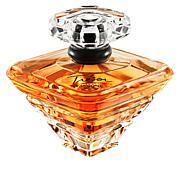 Love the smell o this fragrance! Its not overpowering and thats what I love most about it. Shipping was super fast and I would recommend this perfume! Not strong at all. Yet it lasts all day. Nice mild fragrance. My husbands love!! Great perfume and last for several days after applying. 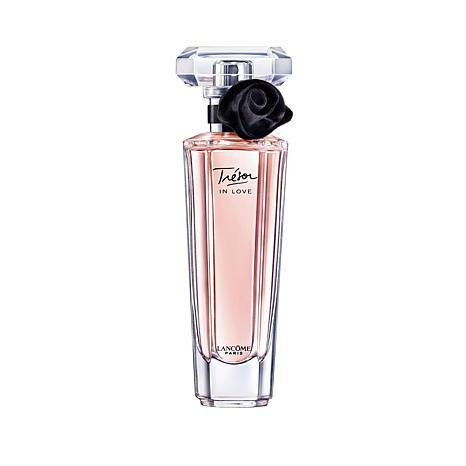 In love with "Tresor in Love"
"Tresor in Love" is my favorite of all perfumes, the one that I keep going back to after I've tried others. The scent is sweet and feminine, and more than once I've been asked what perfume I am wearing.